Have you heard of @guiltyparties? possibly, but I want to change that. @guiltyparties is a witness, a veteran, and a key member of Steem Cleaners. He has 3,825.154 STEEM of which he delegates 2/3rd's of it to 33 different people with no return. He has 2,496 followers and has been on Steem since June 2017. @guiltyparties spends a lot of time helping and supporting Veterans as well paying out of his pocket when trying to recover the rep of users who need it. While he doesn't do a lot of posting outside of his veteran curation summary and contest posts, he is a very valuable member of the community who does a lot of work behind the scenes. I'd love to see him posting more of his own content but I understand a lot of his time is spent helping others. 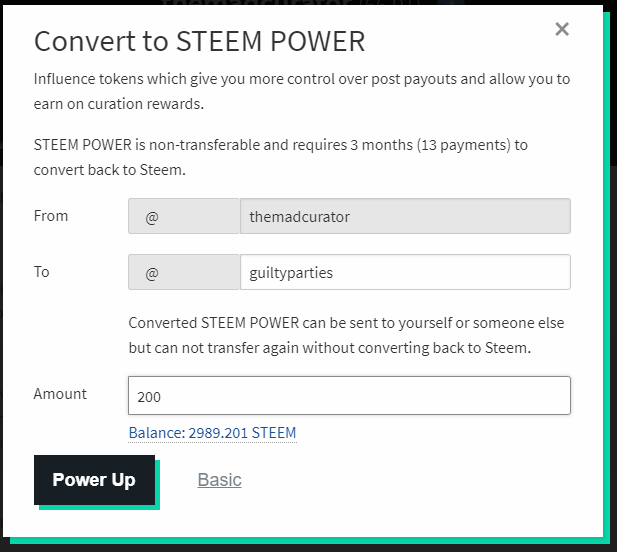 That is why I am sending him 200 Steem Power. Great choice! A worthy recipient. The Veteran community here certainly appreciates helpful Gestures. I know some other awesome people on Steemit (including us :) ) can I nominate some? Also thank you so much for the previous upvotes on our articles! @themadcurator just scrolling through the feed while doing my vitamin D walk outside and @for91days would deserve this for sure! Really helping others a lot on the platform (including me), and without @for91days travelfeed wouldn’t even exist. A great curation platform curating travel related content. How did you even find this post so fast @guchtere ? Enjoy your D-Walk! Hehe this post was on top of the feed in the @partiko app. Testing the new IOS version during my walk. Do you know about the delegation contest the @theycallmedan is holding right now? 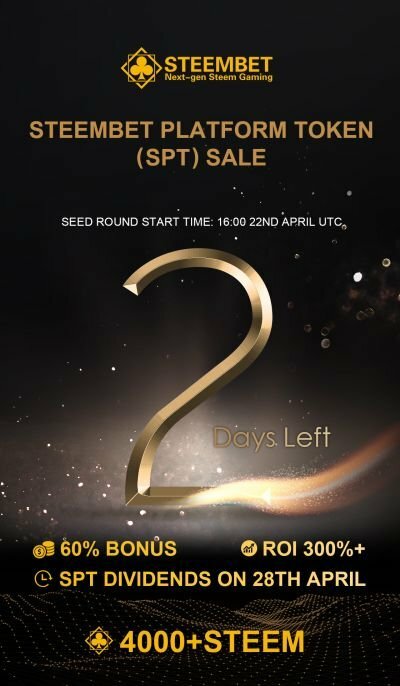 The top 20 nominated projects will get 1000 sp delegated. If you have enough people do nominations, you can get into that top list. It's worth a try anyway. I'm proud to support the Veterans Project as well. He told me about curation trails as a way to find more support, and now I follow half a dozen of them. Thank you @guiltyparties well deserved! wawawawah, thanks so much <3 you are very kind !!! ....and you are very talented and very welcome my friend. I'm sure this who gets it it smiles a lot. Great choice and this is a very nice initiative to help everyone grow and keep encouraging those who make this platform a better place to stay feel appreciated and supported. Thanks. Thanks for choosing the right person. Awesome dude supporting an awesome dude! I feel really upbeat about steem lately, I'm thrilled to say! Fantastic idea to help the new steemians grow. This is a good candidate for support, I think. Working in SteemCleaners must be quite a difficult job since by nature it involves educating people on what they have done wrong and these kind of conversation are usually hard and unpleasant. Very cool you're doing this.. SteemCleaners is a great initiative. That is perfect! @guiltyparties is the most helpful person I have ever met here! So generous of you buddy! 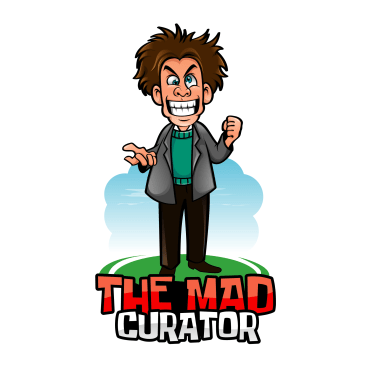 You should change your Name from @themadcurator to thecrazyhelper . I'm awesome and I'm a STEEMIAN can I have the 200 STEEM? lol hahaha anyways goodluck on everyone! Congratulation @guiltyparties you deserve it and @themadcurator you make a bold decision 200 Steems is not a joke. I'll be following him. We need more users like him.